Best Car Repair Garajes in Pune What do you mean by Cruise Control in a car? Have you wondered that why the speed of the car is uniform even while climbing up the hill? No, right? Let us take a closer at the standard cruise control system fitted to most of the vehicles. 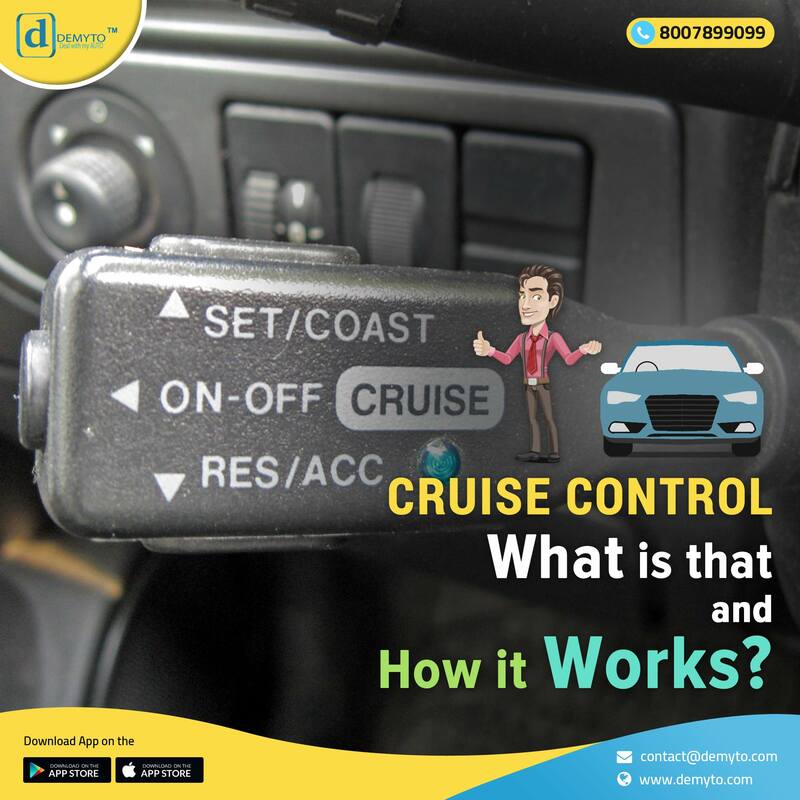 Cruise control is a set button the steering wheels that allow the driver to turn the system on and off, helping the car to increase or decrease the speed and set at the desired speed. The driver sets the speed by pushing the accelerator until the desired speed is reached and then hit the 'SET' button. Depending upon the varieties of the model of the car ranging from old to new, the function of setting the speed differs. The older models are hooked up to the throttle, which controls the speed of a vehicle, and an actuator, which moves the cable back and forth. The actuator itself is controlled by the vehicle’s ECU (engine control unit), which monitors the speed you have programmed and the speed of the vehicle from wheel sensors. When to use cruise control? Cruise Control can be beneficial on long highway drives. It avoids you from accidents and also helps to save fuel by not varying speed too much. There is always 'if or but' in every situation. So let us talk about when we should not use the cruise control. 1) When you're in traffic or when visibility is limited or road conditions are poor, cruise control can be dangerous. 2) When you want to drive in a rainy season, cruise control can be dangerous. What is store in the future? Cruise control is going to be playing a key role for autonomous vehicles. Soon or later, adaptive cruise control systems will be used to monitor vehicles in front to keep a safe distance. Even though we are still ways off from autonomous vehicles, various technologies have submerged it in the modern cars.